As we move through life, most people have issues of conflict or stress with certain others in their lives. This technique will be a good remedy to alleviate the strife between you and another. It is an intense forgiveness process. Remember, too, that nearly everyone you have conflicts with may be very intimately connected to you at a soul level. We usually fight with those we know well! As always, ground, clear and protect. [If you are new to this, best refer to my book Healing with the Rainbow Rays, or another book which lists how to do the basics]. Move to your heart chakra. Picture the person with whom you have an issue. See if you can contact a higher essence of that person--either higher self, or other dimensional aspect wherein there is not the same kind of conflict. 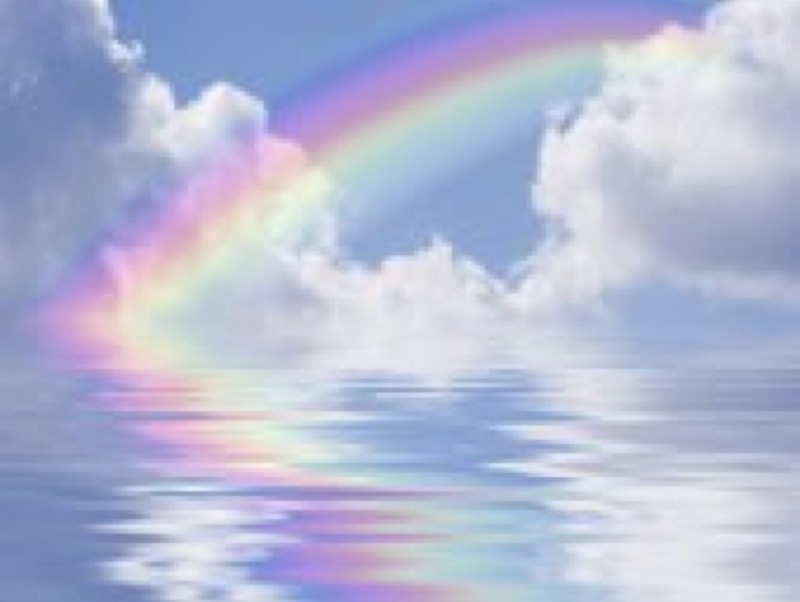 Build a rainbow bridge by visualizing the bridge as having all the major 13 rainbow rays as its composition. Remember, your intent will bring this into fruition. Picture the rainbow bridge in front of you, leading to this higher aspect of the other person on the other side. Move your essence across this bridge to the other side where your “other” is standing, awaiting your arrival. Greet the other in love, light, free will and balance. Ask for resolution with them, whether it be a need to seek forgiveness, or simply to drop the unproductive conflict. Feel the response from him/her. If there is a negative response, drop it and move onto someone else, unless you want to try his/her essence at yet another level. Ask to do a chakra link with them, if it is appropriate to the experience. If so, start at the base, and finish at the black ray chakra. [For a list of the chakras, their colors and positions, see The Twelve Major Chakras under the "Articles" tab.] Use one ray of the chakra color plus one ray of silver and one ray of gold (for female and male balance) through the violet crown center. For the etheric chakras (silver, gold, white, clear and black), use just one strand of their individual color to connect. You would braid into the same corresponding chakra as your own, i.e. your solar plexus to their solar plexus. Allow for the healing to take place. Say what you need to say, feel what you need to feel. But uppermost in your intent should be the conflict resolution, not who is right and who is wrong. When complete, unbraid, thank them and move back along the bridge. Clear any unnecessary energies, and ground again.